Organized October 18, 1850 on two acres donated by Col. Eppy White, the church met in a log schoolhouse until the first building was erected in 1851. The first pastor was J.B. Canada. A larger building completed in 1858 was used as a Federal Hospital in the Civil War. It remained in use until torn down in 1964. The present sanctuary was built in 1968. Erected 1985 by Eudora Baptist Church and the Shelby County Historical Commission. Location. 35° 6.986′ N, 89° 54.328′ W. Marker is in Memphis, Tennessee, in Shelby County. Marker can be reached from the intersection of Poplar Ave. (U.S. 72) and Perkins Road. Touch for map. 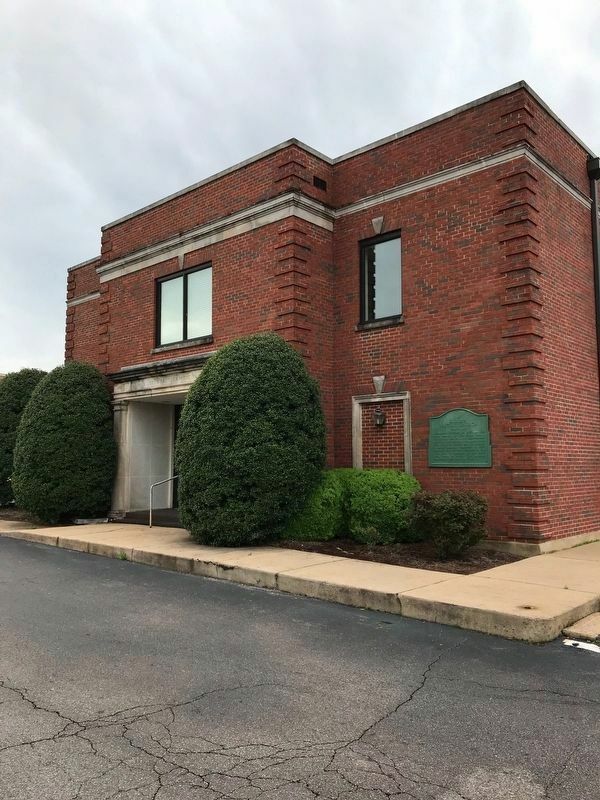 Marker is at or near this postal address: 4684 Poplar Ave, Memphis, TN 38117, Memphis TN 38117, United States of America. Touch for directions. (approx. one mile away); Mullins United Methodist Church (approx. 1.1 miles away); Second Presbyterian Church (approx. 1.3 miles away); Gen. James M. Kennedy Hospital (approx. 1.6 miles away); Tragic Accident Sparks Sanitation Strike (approx. 1.6 miles away). Touch for a list and map of all markers in Memphis. Related marker. Click here for another marker that is related to this marker. Main Marker on Poplar at Perkins Road. More. 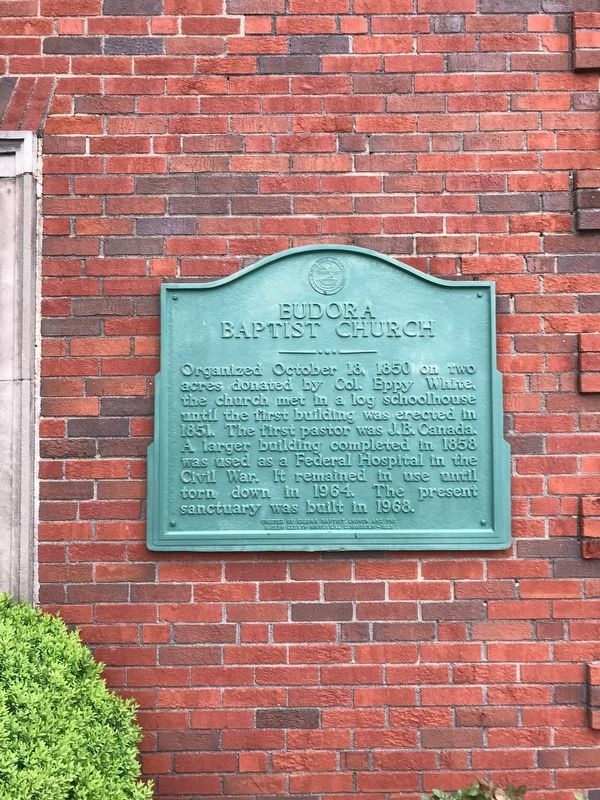 Search the internet for Eudora Baptist Church. Credits. This page was last revised on April 14, 2019. This page originally submitted on April 12, 2019, by Steve Masler of Memphis, Tennessee. This page has been viewed 32 times since then. Photos: 1, 2. submitted on April 12, 2019, by Steve Masler of Memphis, Tennessee. • Andrew Ruppenstein was the editor who published this page.